Valkyria Chronicles Remastered release date announced! Oh did I kill you? I’m so very sorry. What’s that coming over the hill? Is it a release date? Is it a release date? 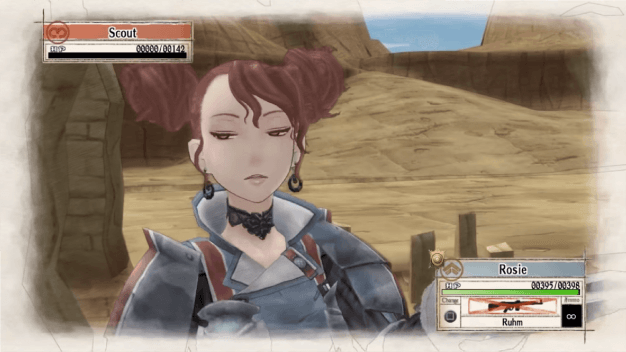 Singing aside, Valkyria Chronicles Remastered has been given a release date! The PlayStation 4 reboot of Valkyria Chronicles will be available in the Americas and Europe on May 17th! The game will include all of the original DLC, dual Japanese and English audio and trophy support for all of you that desperately need another platinum trophy to add to your ever-growing pile. Have you pre-ordered yet? You should if you want a limited edition collectible metal Squad 7 Armoured Case. Gun in need of a polish? Misplaced your commanding officer? We’ve provided a trailer below which goes over the fundamentals of warfare, including the unique BLiTZ Tactical Battle System. Use turn-based strategy, RPG and 3rd person shooter elements to make each and every battle an exciting and unique encounter! With this in mind, you can use two different modes of play in each engagement. You can plan moves and organise your units on the battlefield in Command mode and get to gunnin’ down your foes in Action Mode. Command a wide variety of classes and use upgrades to dominate over the Empire. See you on the battlefield, soldier! Valkyrie Chronicles Remastered will be priced at $29.99/CA$44.99 – but who can really put a price on war?